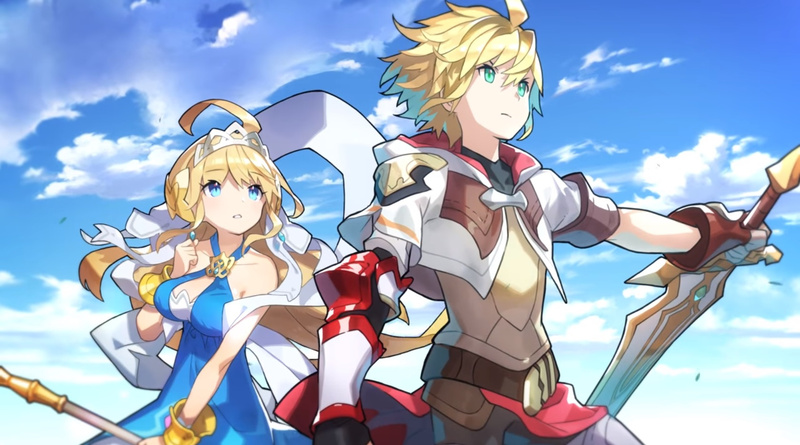 Smartphone game Dragalia Lost is scheduled for a release in the UK, Canada, and Australia, Nintendo has confirmed. 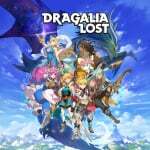 Dragalia Lost initially launched on 27th September 2018, but was restricted to just the US, Japan, Macau, Taiwan, and Hong Kong. Fans from other regions have been hoping for a release for some time, so we're glad to see that it's finally about to reach more players, although no specific release date has been set just yet. The news was revealed by Nintendo president Shuntaro Furukawa today, who mentioned that the game will release in "English-speaking countries such as" those mentioned above. It certainly makes sense for Nintendo and its development partner Cygames to launch the game in more territories; player spending was revealed to have surpassed $50 million by December of last year. If you live in one of the countries mentioned above and are wondering what it's all about, we'd encourage you to read our full review; we described it as a "remarkably well-executed ARPG for mobile devices", saying that its "surprisingly in-depth lore, easy to pick up gameplay and oodles of customisation options make this a game that’s easy to sink hours into". Nintendo also shared the news of an upcoming mobile game called Dr. Mario World, as well as a delay for Mario Kart Tour. Have you been hoping to see Dragalia Lost be released in your country? Will you give it a go when it arrives? Tell us below. Will be nice if they gave a launch date! Hopefully this will release before March 2019 before Ninty's fiscal year end. I didn't even know (or care) that it wasn't out here yet. I don't get why Nintendo won't bring these to the Switch as well. It's not as if exclusivity means anything in the mobile world, and the fans would appreciate high quality digital games direct from Nintendo themselves (though indies may resent it). No, it'll have been 3000 years when they release it in Belarus. Dragalia is a blast and I'm enjoying the new event. It's fun even if you spend no money on it. I still dont get why we had to wait so long? It's like they just realised they forgot to release the game pretty much everywhere in the world and now they are like "Hey... We did not forget. We're just releasing it in batches instead of everywhere all at once!" Luckily I have an US iTunes account. Because at this rate it'll be 2021 before we get it in the Netherlands..
How the game is available in Macau but not in Portugal or Brazil? Protip: Languages and translation work, especially on something like an ARPG, take a LOT of time and testing. Europe is not just "England". Particularly when fully voiced, too. The biggest problem for me is nintendo is VERY unfriendly to f2p players. I play some other gatchas and mobile games and comparing dragalia lost to those is like damn nintendo doesn't like f2p players. I mean in dragalia a full stamina bar gives you about 3 to 4 matches. The repeatable wyrmite gives you about 10 summons a month. And that's about all you can do. In another gatcha I play, a full stamina bar gives you about 15-20 levels, and there's free daily stamina refiles that actually refill more than a full bar. If that wasn't enough the game has several other activities that require other resources that have their own independent recharge times. In terms of summons you get about 60-70 a month. When you compare that stuff to dragalia you're just left thinking, come on nintendo lighten up. I'll give it a try when it will be available in Italy. It's not an RPG in the slightest it's a game where you just mindlessly tap your screen. Tap to walk here. Tap to fight. Tappy tap tap tappety. Oh and the game downloads bit by bit. Tap 80 times then wait for next level to download. Fair play to Nintendo for making a ton of cash out of it but as I'm a gamer not a shareholder I couldn't care less. Smartphone touchscreens are no substitute for a controller. The only smartphone game that has impressed me so far is Pokemon Go because it really is a game that was made for a smartphone with a touchscreen. It embraces the medium rather than awkwardly adapting to it. I've downloaded so many games to my phones over the years and it's the only one I haven't deleted. And I was son angry and thought it was just the LATAM market. I know the reason Nintendo didn't release this in Canada was because of our country's language laws, everything released here has to be bilingual English and French. I wonder if they've added French in to appease Quebec or if they're just going ahead with English-only? Yeahno. I've stopped caring about this game. Should have released it at the same time as everyone else. Now I have Dragon Marked for Death and Wargroove to keep me happy till April. And the rest of Europe when?